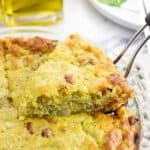 Crustless zucchini quiche is a quicker and easier quiche recipe for a satisfying breakfast or anytime meal. This one-bowl quiche uses Bisquick for structure and features tons of flavor from smoked mozzarella and sun-dried tomatoes. Say hello to what’s been my breakfast every day for the past few weeks. 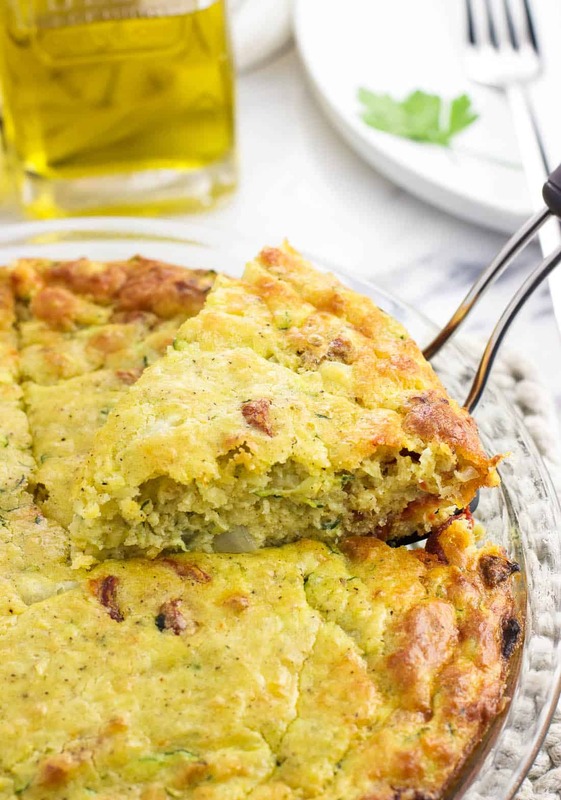 Crustless zucchini quiche! As a savory breakfast lover, eggs of any sort are welcome news in the morning. Especially so when you can easily combine leftover this-and-that ingredients in a one bowl recipe. Bonus points because it’s a cook once, eat multiple times kind of dish. That means there’s no need to wash out a pan for scrambling eggs every morning. Nine times out of ten when I make a quiche, it’s crustless. 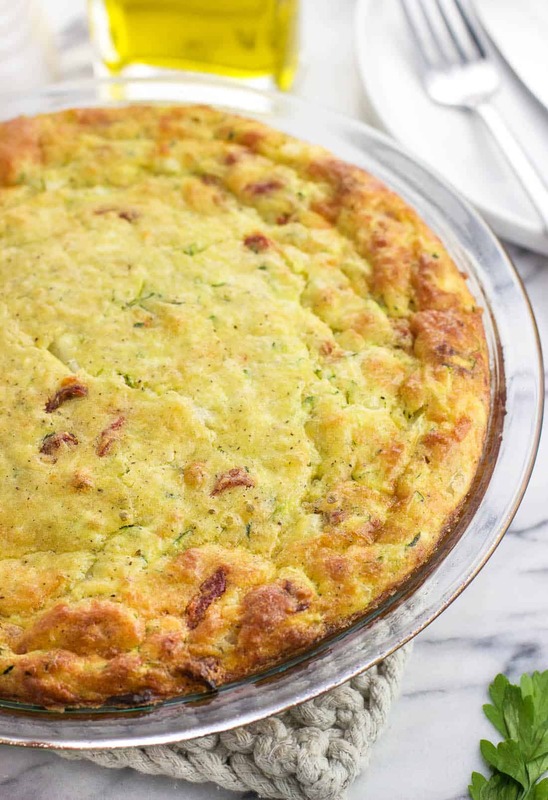 While I would certainly never turn down quiche with a traditional pie crust when I’m out to eat, it’s just easier to make it crustless at home, you know? 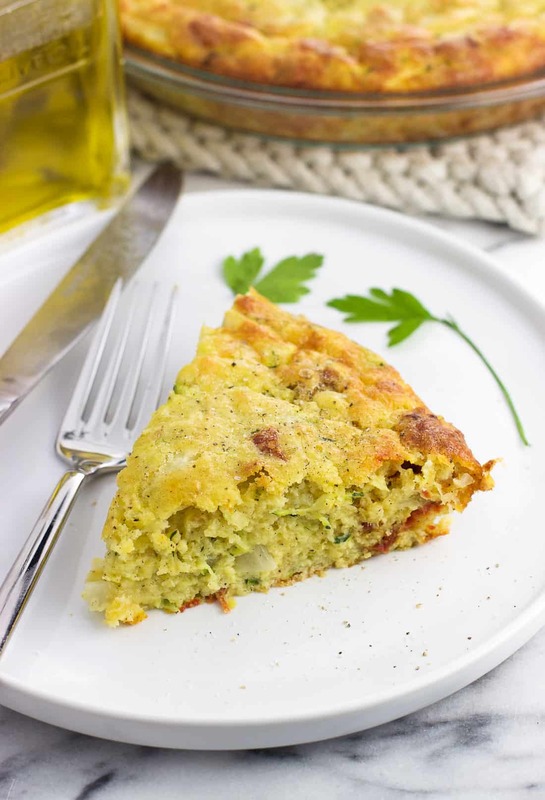 Just one cup of Bisquick is added in with all of the ingredients to provide the right amount of leavening and structure, allowing this crustless zucchini quiche to be easily sliced and served without a pie crust. Adding that to the fact that just one mixing bowl is required to mix all of the ingredients, this quiche is a totally delicious time-saver. 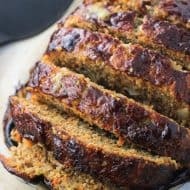 Much like how I make balsamic meatloaf with sauteed vegetables, I grate the zucchini to add a TON of moisture. 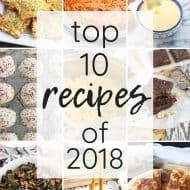 While you definitely see the zucchini shreds, you won’t be biting into any huge zucchini chunks, if that’s the kind of thing someone in your family is concerned about. It goes fairly unnoticeable when all is said and done. In the interest of including as much info as possible here, I weighed the zucchini I used to make the specific crustless zucchini quiche you see in these pictures. It was eight ounces. Since sometimes food blogging makes you feel like you live in crazy town with taking food measurements the standard home cook wouldn’t, you don’t have to weigh your zucchini (I haven’t the other times I’ve made this). Just pick a large one and you’re good! So we’ve got Bisquick, zucchini, eggs (obvs), oil, onions, and spices as the foundations of this quiche…time for the fun flavors. Since eggs and zucchini aren’t exactly flavor powerhouses, I wanted to pick bold ingredients to liven up this quiche. Sun-dried tomatoes are a fan favorite in my house, so in they went. I buy sun-dried tomatoes that have been packed in oil and blot them with a paper towel before roughly chopping and throwing them in. 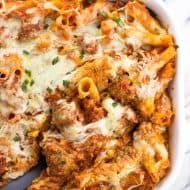 I recommend the oil-packed tomatoes versus the dried ones, but the dry ones can be used as well if that’s what you have on hand. Just rehydrate them before using so they aren’t dry dry. Now I’m a smoked cheese fanatic, but I have to say it’s only been as of late that I’ve gotten on the smoked mozzarella train. 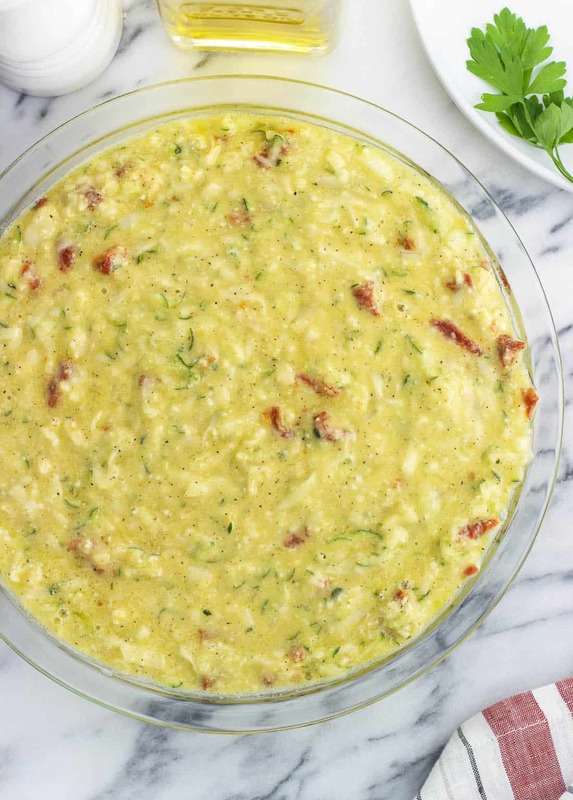 Smoked gouda and I have been friends for a long time – check out this smoked gouda dip I CRAVE. Why did I wait so long with mozzarella? It adds a mellow smokiness to this quiche that plays so well with the other flavors. It’s an easy way to make this simple quiche feel more “gourmet”. You can use regular mozzarella if you like, but I highly recommend smoked mozzarella if you can find it. This crustless zucchini quiche will puff up some as it bakes, but will come back down as it cools. I tested this recipe using the Heart Smart Bisquick. Use your preferred (though note: I don’t have experience with gluten-free Bisquick, so I don’t know if it would work here). 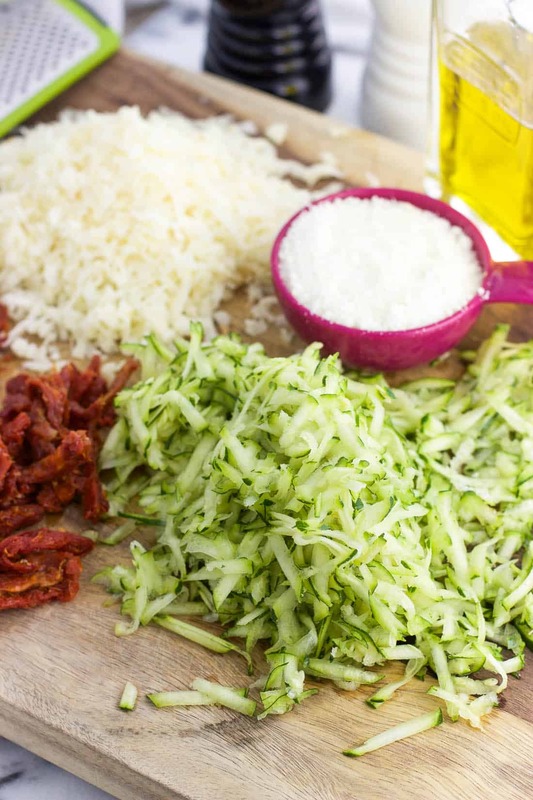 You can use grated Parmesan instead of Pecorino Romano if you like, but I’m partial to the latter. 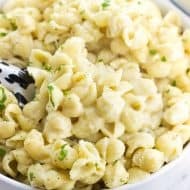 One of the big chain grocery stores near me has a section in their cheese department of smaller portions of cheese, which is great for using in one or two recipes (and less $$). A smaller wedge would be perfect here. When it comes to pie or pie-shaped foods like this quiche, this flexible pie server (affiliate link) is the best. It can really work its way underneath whatever you’re slicing, and the wedge-shaped head doesn’t interfere with the neighboring slices. Well worth it! 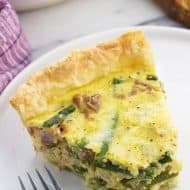 Crustless zucchini quiche is a quicker and easier quiche recipe for a satisfying breakfast or anytime meal. This one-bowl quiche uses Bisquick for structure and features tons of flavor from smoked mozzarella, sun-dried tomatoes, and two cheeses. Preheat oven to 350°F. Spray a 9" pie plate with cooking spray and set aside. 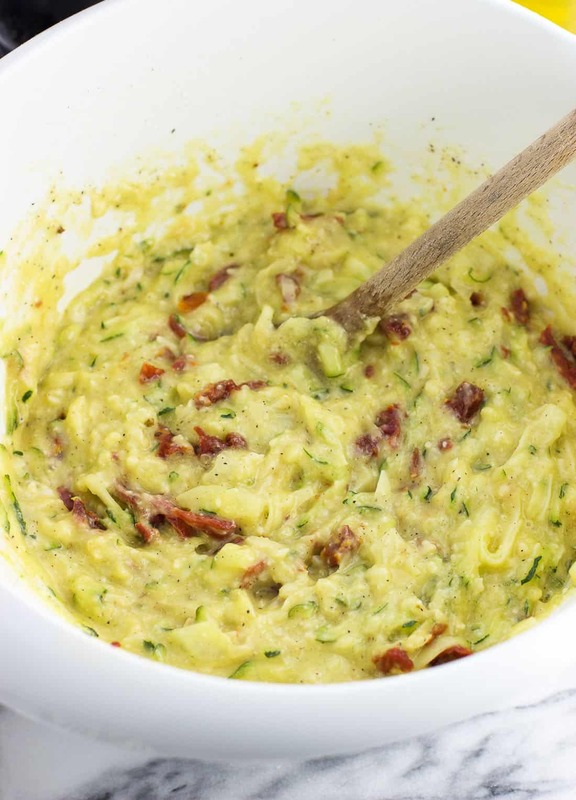 Add all ingredients except for the sun-dried tomatoes to a large mixing bowl and stir until combined. Blot sun-dried tomatoes to remove excess oil and give them a rough chop. Add to the bowl with the rest of the ingredients and fold in. Pour out quiche mixture into the prepared pie plate and bake for 35-40 minutes, or until the top is set and the edges are golden-brown. Let cool in the pie plate slightly before slicing and serving.